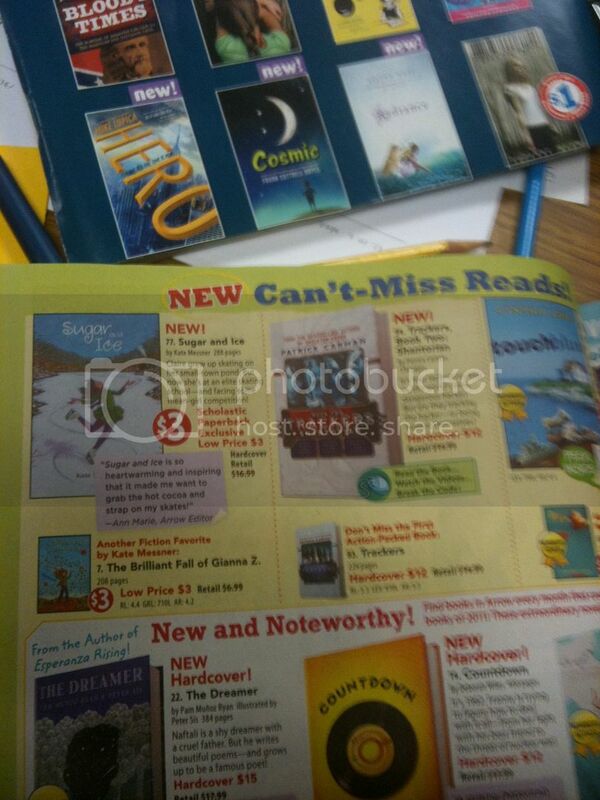 I went back to school today after a lovely, lazy vacation to find the new Scholastic Book Clubs flyer in my mailbox, and look what was inside! SUGAR AND ICE is a featured title in the January ARROW Book Club, along with THE BRILLIANT FALL OF GIANNA Z. This made me smile for a few reasons. First, I’m excited that my new book is available to kids at such an affordable price, especially since the regular paperback edition doesn’t come out until December. And second…I was happy to see my friend Cindy Lord’s wonderful books, TOUCH BLUE and RULES, featured in the same section. It’s funny how happy that made me…kind of like showing up for a big dinner party full of strangers and finding out you’re seated right next to a friend. There was a surprise in my mailbox at home recently, too. 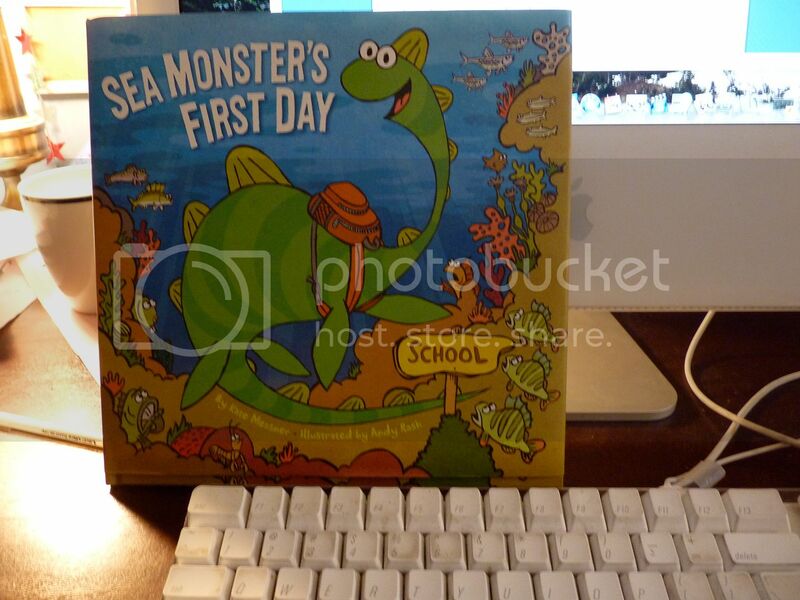 A very early hardcover copy of my first-ever picture book, SEA MONSTER’S FIRST DAY. It’s illustrated by Andy Rash, who brought my imaginary monster to life in a more perfect way than I could have imagined. This book comes out in July from Chronicle Books, but if any of you will be at the International Reading Association Conference in May, I’m told you’ll get a sneak peak, as I’ll be signing some early copies there.